Dangerous and defective products are the cause of many serious injuries and deaths every year. Unfortunately, many consumer products are unsafe and eventually withdrawn from sale in product recalls. The recall usually occurs as a financial response after many individuals have been seriously injured or killed by faulty products. Victims with serious injuries or surviving family members who lost loved ones from recalled products are legally entitled to seek financial compensation for their damages. Tort law involving product liability provides the means for any victim to obtain recompense for damages and losses while holding careless product manufacturers and distributors accountable for their neglect. Victims of defective products can file a claim or lawsuit to hold others accountable for their injury. Typically, the case involves product liability, negligent design, defects in manufacturing, breach of warranty along with a variety of other protection statutes and laws. Many products are recalled from the marketplace by order of a government agency, or through voluntary action by the designer, manufacturer or distributor. In nearly every incident, a consumer product brought to the marketplace is not properly tested for consumer use by a third party. Usually, the product is likely deemed safe for sale and use through the manufacturer’s in-house quality control system. Some products are found to meet basic safety standards by Underwriter Laboratories or other independent test groups. Often times, serious safety hazards are only realized once a large group of consumers begins using the product. In some scenarios, the manufacturer or distributor might notify a consumer if the product is recalled or place a printed notice on company websites and in newspapers to inform the public. It is imperative that every consumer stop using a recalled product immediately. Federal agencies will often order or request that a product be recalled from the marketplace once it has been detected to have a design or manufacturer defect. The CPSC (Consumer Product Safety Commission) overseas recalls of various products that include appliances, clothing, furniture, electronics, household goods, lighting, power tools, exercise and sports equipment along with many child products including cribs, strollers, high chairs and toys. The United States EPA (Environmental Protection Agency) regulates and recalls various consumer products that include fungicides, rodenticides, pesticides and herbicides. In addition, they regulate vehicle commission controls and can request or order a recall on emission control devices. The NHTSA (National Highway Traffic Safety Administration) can recall child safety seats and motor vehicles, including cars, trucks, RVs, motorcycles and ATVs along with vehicle equipment, tires and parts. The USCG (United States Coast Guard) is given the legal authority to recall jet skis and other personal watercraft along with recreational boats and equipment. The FDA (Food and Drug Administration) is in charge of regulating pharmaceuticals including over-the-counter drugs and prescription medications. In addition, the FDA regulates food, cosmetics, veterinary products, plasma, blood products and vaccines. In nearly every incident, the consumer has access to three specific options if the product they purchased or use is defective. State and federal Lemon Laws cover a variety of products that are either defective in design or does not perform properly. The consumer might have the right to take legal action if the products performance and quality does not live up to its warranty. Finally, the consumer can file a product liability claim against the manufacturer, distributor or designer if the product is defective, to obtain financial recovery for their damages and losses. A product liability claim usually involves products that are dangerous or defective or require the user to take specific precautions to avoid injury or death. As an example, a consumer might be injured if medicine is improperly labeled or fails to mention that using the product might cause drowsiness. 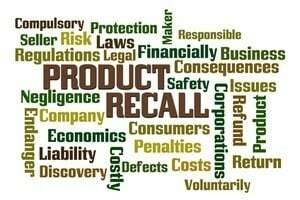 Rosenfeld Injury Lawyers LLC at (888) 424-5757 specializes in recalled product liability claims. 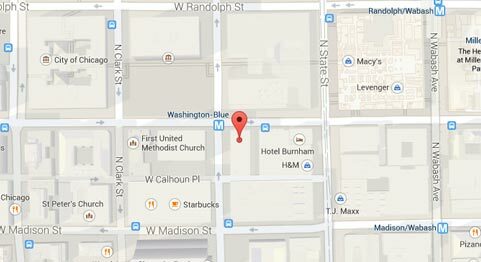 Our law firm offers a free consultation and case review to evaluate your claim and provide a variety of legal options. Our clients are provided our dedication and years of experience to handling every product liability case. We have extensive knowledge and access to valuable resources to fully represent our clients aggressively and efficiently. We have represented multitudes of injured individuals who have battled against manufacturers and distributors of defective products.